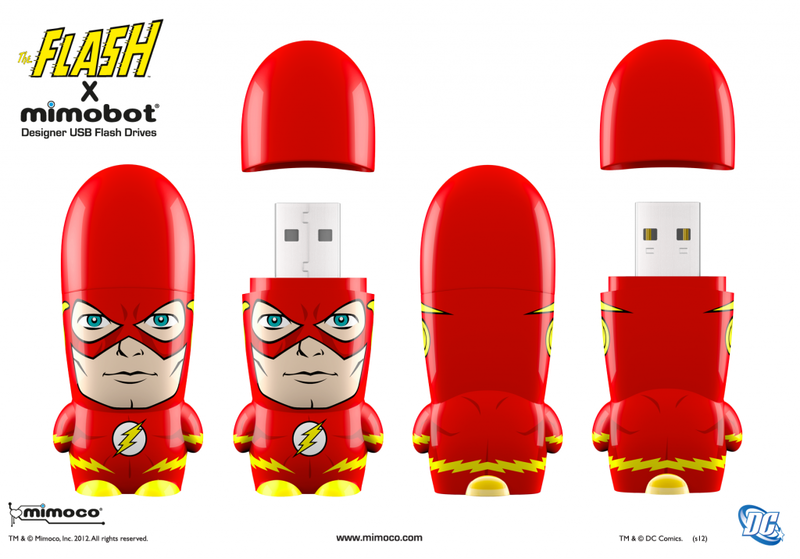 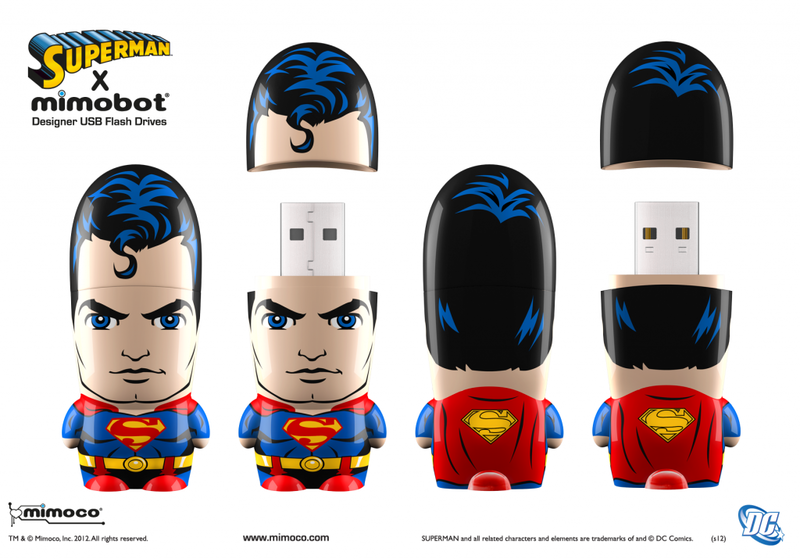 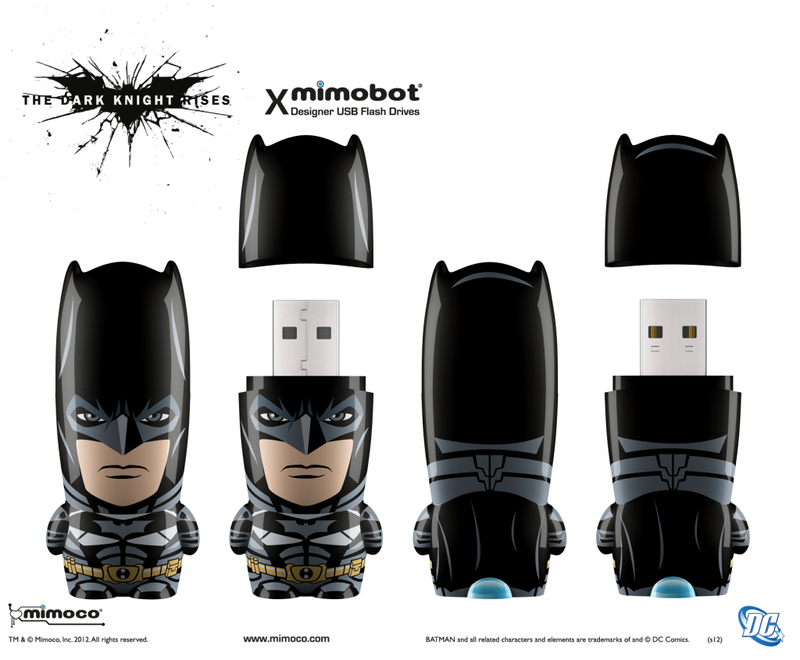 Of course, these are far more than your average comic book licensed toy- these are full on flash drives (or maybe I should say Flash drives) that come packed with bonuses like screensavers, avatars, and wallpapers. 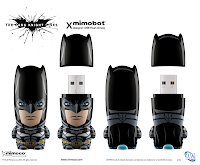 The newest characters to join the line (Batman and Green Lantern were released last year) includes a pair from one of the biggest movies of this Summer and two guys who know a thing or two about super-speed. 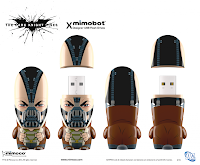 The little 'bots come in sizes of as large as 64gigs and are available now at www.mimoco.com and "select retail shops worldwide"- All except Bane that is. He'll be exclusively sold at the San Diego Comic Con... hope you got a ticket.